Nirav Pomal and Raj Aghera capture the birds and coastal landscapes of Kutch and Bhuj for ‘Waves & Wings’, an exhibition that reflected patience and serenity. 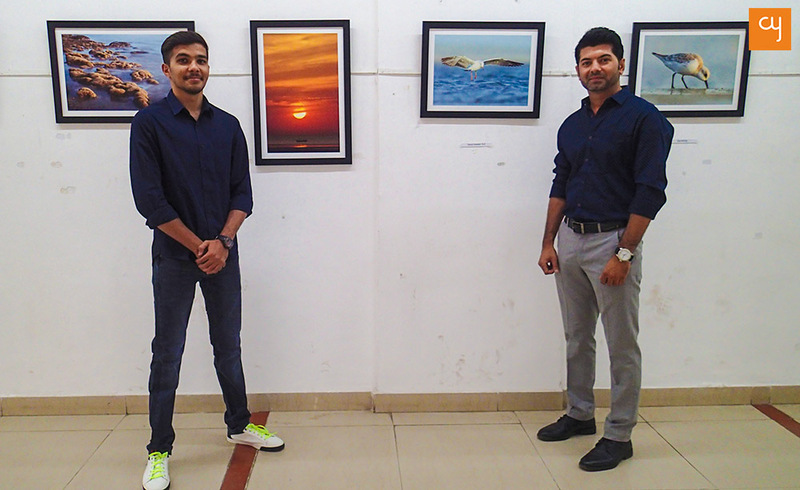 Kutchi lensmen Nirav Pomal and Raj Aghera became fast friends when they discovered that they shared in common a love for photography. The picturesque coastal areas touching the Gulf of Kutch intrigued the duo’s photographic instincts. And they decided to embark on a journey to capture the reefs and coasts of Kutch, along with the beautiful birds that fly there. Inaugurated on March 30 at the Ravishankar Raval Kala Bhavan, their exhibition Waves & Wings portrayed the coastal serenity of Kutch and Bhuj, and was on display till April 1. Pomal, who is a local of Kutch and a businessman, says “My house is hardly 60km away from the beach. While I was bird-watching near the coast, I discovered that more than 40 species of birds migrate here each year. Eventually, I started to document them through photographs.” It was during this process that he met Raj, who is pursuing civil engineering and is equally enthusiastic about the art of capturing. Pomal, in his 19 photographs, mainly focuses on the theme of ‘wings’. There is no randomness in his manner of shooting photographs of the birds. The subjects in his shots are seen to always be immersed in an activity. In one photograph, a bird is seen to be running on water, and in another, a flamingo stares into the distance presumably in search of fish to catch. Aghera, meanwhile, took it upon himself to represent ‘waves’. His 15 photographs serenely observe the coastal shores of Kutch, bathing them in an almost mystical and transcendental light through a smoky effect. But the ‘waves’ captured aren’t limited to those of the sea alone; he also depicts the dunes of the Rann of Kutch. Both Pomal and Aghera are first-time exhibitors, but their work possesses great aesthetic value!